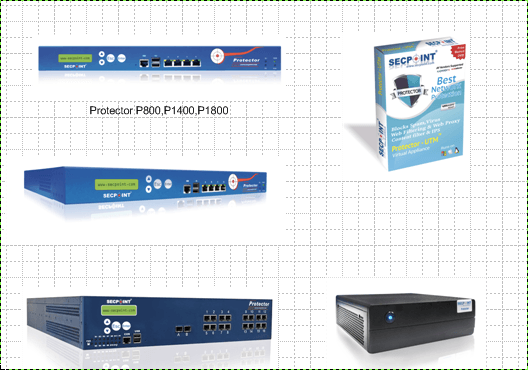 Easily utilize the Protector UTM Firewall VPN Appliance P800, P1400, P1800, P2200 and Virtual Appliance in your Visio® diagrams. Improve your network diagram and increase your IT Security. Deploy a firewall infront of your network and secure your site. VPN for encrypted connectivity and more.